Like most, I love coffee. One of my earliest memories from childhood is visiting my great-grandmother and drinking what she called “coffee milk.” Coffee milk was made using 10-parts milk, 1-part coffee, mixed with enough sugar to cause an instant tooth ache, and served in an 8-ounce porcelain coffee cup. Although the taste of coffee was faint, my affection for the dark beverage was born. When I moved to Turkey several years ago, I was introduced to a variation much different than coffee milk or anything I served to customers as a Starbucks barista in my college days. This seemed like an entirely different drink. Thick, gritty, bitter, and strong—so strong. The kind of strong that my dad would have certainly commented, “that coffee will grow hair on your chest.” Despite its pugnacious taste, it was served to me in a dainty cup (most Turkish coffee cups are about 2 ounces). A cup so small the handle only accommodates four fingers and requires the drinker to sip with his or her pinky pointed outward. I was intrigued, and the more I drank it, the more I enjoyed its flavor. I wanted to find out more about the history of coffee and, specifically, Turkish coffee. I dug around the web to find the origin of coffee was surprised to learn of the enormous role Turks played in the spread of coffee around the world. Coffee has such a long and interesting history that I wrote another blog that you can read here . 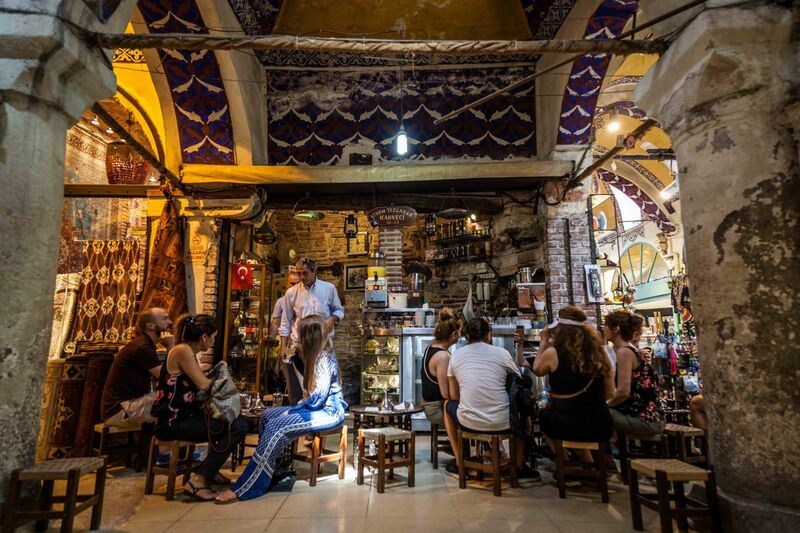 Still, I wanted to know more about Turkish coffee, so I went to the place where I figured I would find an expert—Istanbul’s Grand Bazaar. As I wandered around the Bazaar’s maze of streets and alleys, I ran across Ethem Tezçakar Kahveci and sat down for a tiny cup of coffee. I began talking with the man who served my coffee, Bekir Tezçakar, who happened to be the coffee shop’s 5th generation owner. Bekir was happy to share the history of his family’s legacy. 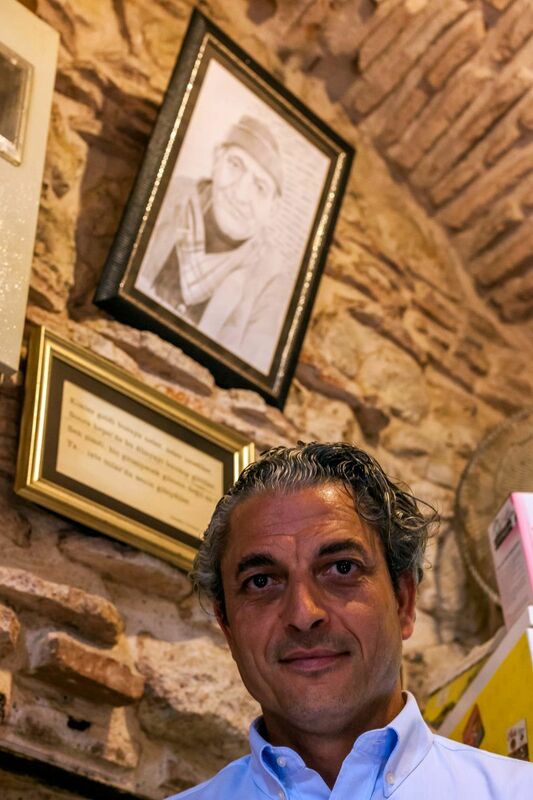 Ethem passed away several years ago, but he "watches over" Bekir and the coffee house through his portrait hanging in the shop. 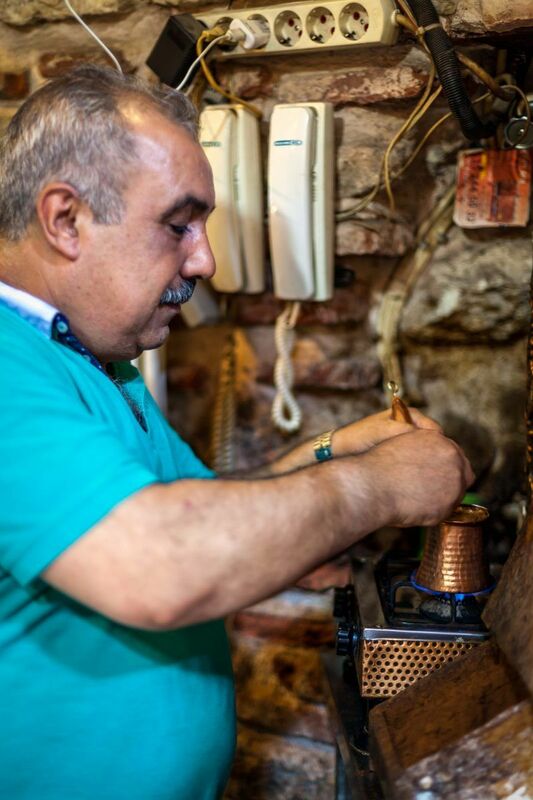 The "Usta" or chief coffee maker at Ethem Tezçakar Kahveci has been making Turkish coffee since he was a teenager. Preserving the family business is no easy task, especially while keeping a full-time engineering career. Bekir spends his free time at the coffee shop overseeing the operation. 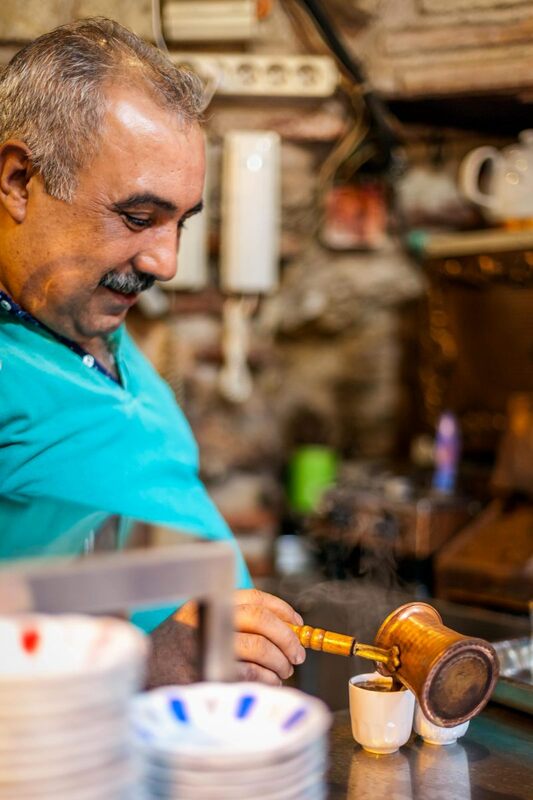 Much like the coffee shop, Turkish coffee requires constant observation while it is being brewed. 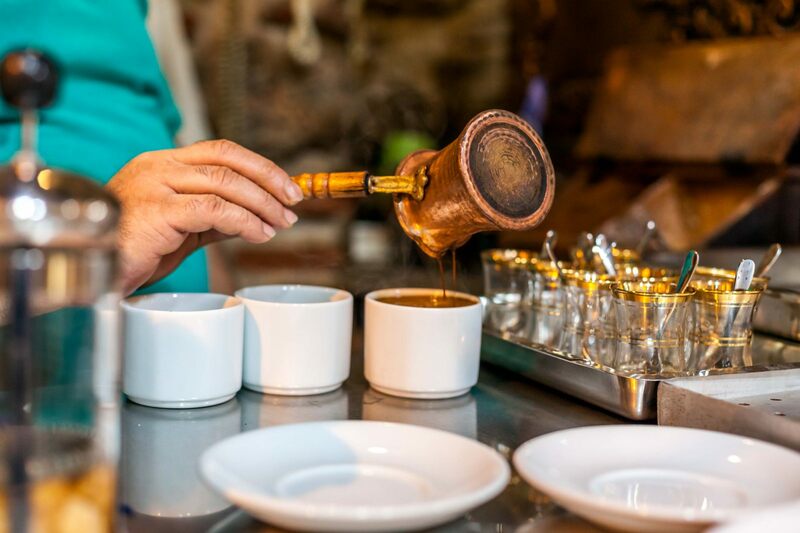 Unlike the typical western coffee where hot water is filtered through coffee grounds, Turkish coffee is traditionally boiled—coffee, water, and sugar (if desired) together—over a heat source in a copper pot called a cezve. While the mixture brews, it must be constantly stirred to ensure the ingredients are perfectly blended. 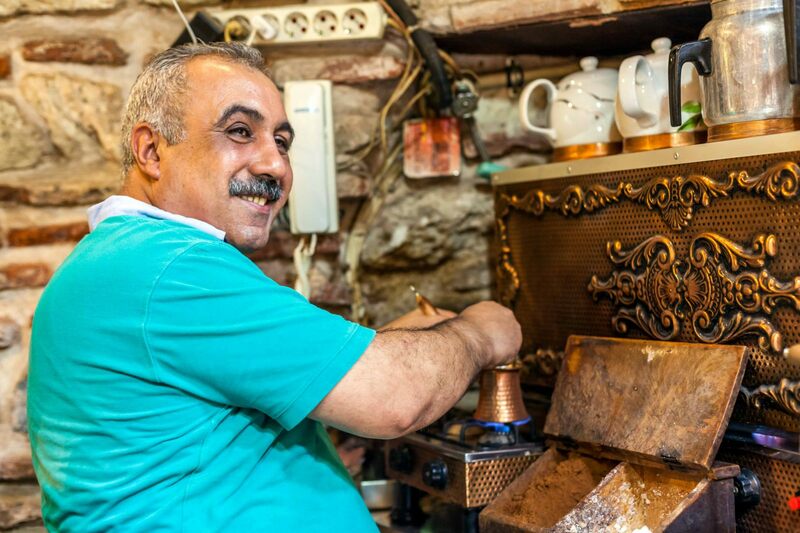 When placing an order of Turkish coffee, one has the option of four different degrees of sweetness—sade means “no sugar,” az şekerli “a little sugar” orta şekerli “a medium amount of sugar,” and çok şekerli “a lot of sugar.” Once the potion comes to a boil, it is poured into the cup, powdery grounds included, making a tri-layered drink. The velvety foam on top holds some of the grounds making the first few sips gritty and fun to chew. The middle liquid is a thick and rich jolt of robust coffee flavor. The bottom third of the cup is mostly coffee grounds, like the mud at the bottom of swamp, and is only consumed by the adventurous or the subject of a YouTube video prank. Turkish coffee is not something to be ordered in a drive-thru and consumed in rush hour on the way to work. It is a time honored experience to be savored slowly with friends and family, and a tradition that is enjoyed at almost every major event in a Turk’s life. 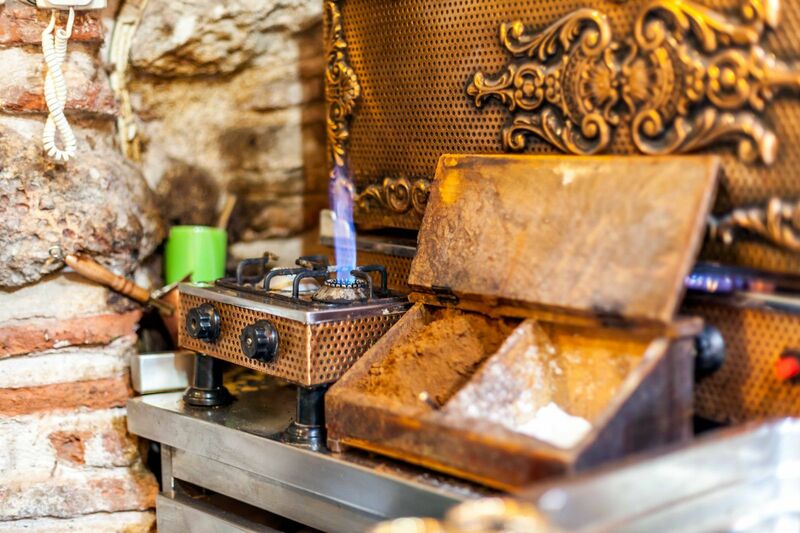 The elements needed to make Turkish coffee are very simple--heat, coffee, sugar, and water. As we continue to talk, Bekir recalls the generations of repeat customers who frequent the coffee shop. “I’ve had elderly customers come in who have told me they first visited when my grandfather ran the shop. Now they come with their grandchildren,” he said. As he recalls these occurrences, an eavesdropping mother and daughter sitting at the table next to us confirm his story. “My husband and I first visited this coffee shop over twenty years ago, before we had children. I was here last month with my son. Now, I have come with my daughter. 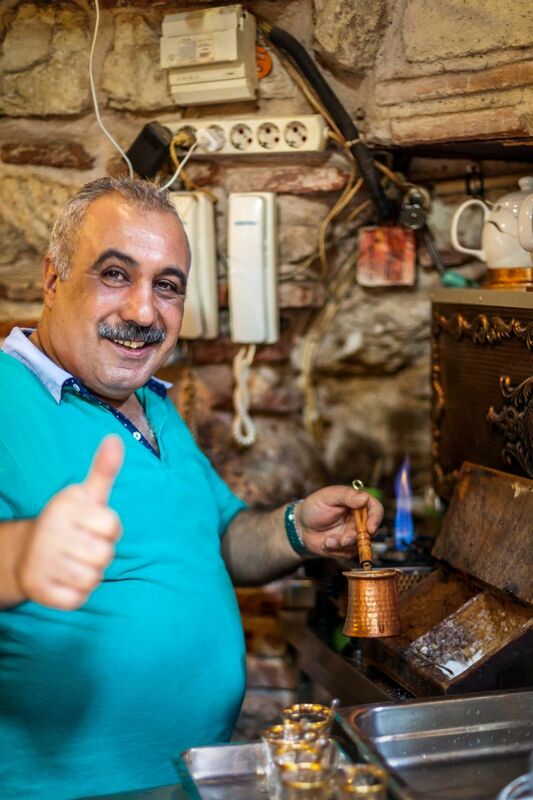 Every time I visit Istanbul, I come here for a cup of coffee,” the mother said. Bekir looked at me with a grin, brimming with pride over his family’s legacy. As I take the final sip of the now-muddy brew, I am confident the family coffee shop will persevere as long as Bekir is running the show. This photograph, which was found in a family home, is believed to have been taken at Ethem Tezçakar Kahveci over 100 years ago. 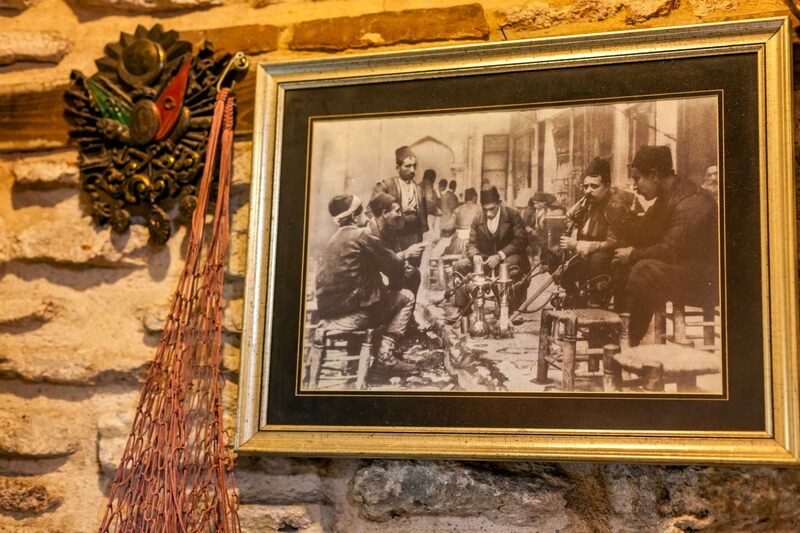 Read more about Turkey's rich coffee history in Enjoy A Delicious Morning Cup of Joe? Thank A Turk!